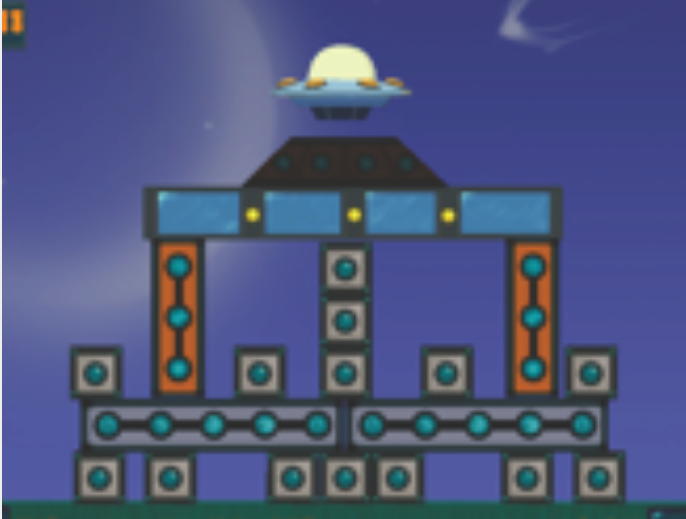 RumbleBlocks is an educational game designed to teach K-3 students about the physics of building stable structures. The game was built by a collaborative team of educational researchers and entertainment technology design students at Carnegie Mellon University and Sesame Workshop. The game teaches basic concepts of stability and balance, as well as engineering and problem-solving skills, that come from the National Research Council's framework for K-12 Science education and the ASSET Science curricular units on stability and motion. Make it Balance (Let's Explore Science) by David Evans and Claudette Williams. 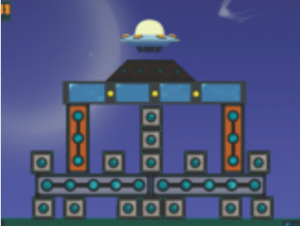 During the game, players build structures that will help a stranded alien reach its ship. Players are also asked to make predictions about which of two towers is more stable. Through a combination of active building and reflection on the characteristics of stable structures, children gain a deep understanding of the basic principles of stability. 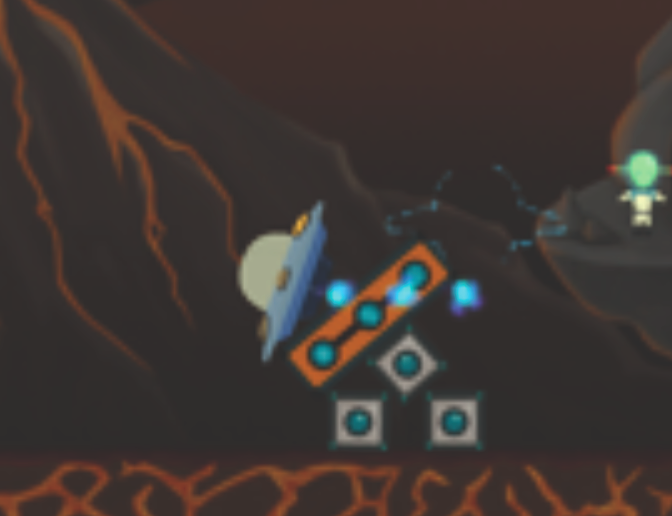 The game also provides students with the creative freedom to design and engineer their own unique constructions, supporting the development of engineering, problem-solving, and creative design skills. We are continuing to improve the game and its learning outcomes. To do this research and development we need children to play. This is a great opportunity for your children to participate in a real scientific study, explore science concepts, and develop engineering skills”all while having fun! Having your students play RumbleBlocks can be an easy and effective way to help your students learn important scientific concepts and have fun doing it. Playing for as little as 20 minutes has been demonstrated to increase students' understanding of stability, one of the educational objectives in the National Research Council's Framework for Science Education as well as in many sets of science standards. How long your students play depends on the time available. Allowing enough time, even over several sessions, for your students to reach the game's higher levels will give them the opportunity to work with the widest range of principles and apply those principles in different situations. Here are a few activities that teachers use to effectively incorporate RumbleBlocks into their classrooms and improve student learning. In this activity, your students test the stability of their structures against an earthquake. Have your students (usually in teams) using the given materials to build a tower, making it as stable as they can. Place the completed towers on the earthquake table and see how hard the table needs to shake to cause the towers to break or fall over. Gather some ideas from the students about why some towers fell over more easily. Now play RumbleBlocks to learn principles of stability. Your students return to the building materials and build a second structure, making it as stable as possible. Allow each team talk about their tower, pointing out features they believe will make it more stable. Take photographs or make sketches of each tower before placing them on the earthquake table to shake until breaking or falling over. 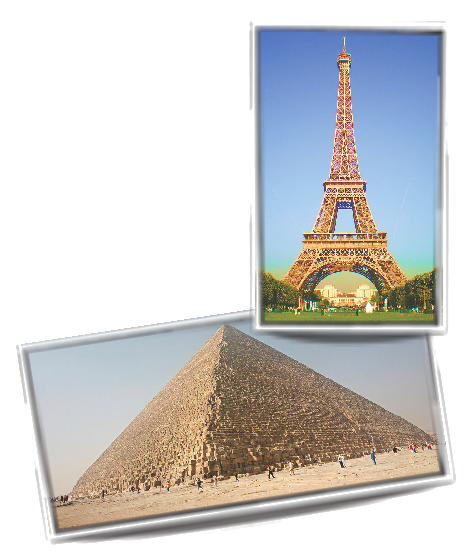 Review the pictures of the towers as a group and ask your student to find similarities and differences that affect a tower's stability. In this activity, your students find patterns in building that lead to stability. While you show the buildings to your students, ask them to find patterns amongst the pictures. There may be many patterns, but you can lead the class to seeing the principles of stable structures. Have your students play RumbleBlocks, perhaps in teams, and ask them to point out examples that remind them of an illustrated building. Afterwards, have the students draw a picture of their own building, including features that will make it more stable. Tip: It is best to avoid modern buildings, especially skyscrapers, since they are often designed to give the impression of instability (e.g., Capital Gate in Abu Dhabi). They gain significant stability from less apparent factors, such as modern construction materials and internal skeletons. Ask your student to find stable and unstable ways of positioning their bodies. For example, standing on one leg is very unstable, while standing with your legs apart is more stable”at least for side-to-side (try also leaning against a partner's hands like you are playing London Bridge is Falling Down to stabilize front-to-back as well). Ask the students to feel where and how much pressure they feel on their bodies. A student on one leg will feel more pressure on their foot and knee than a student on two legs, for example. 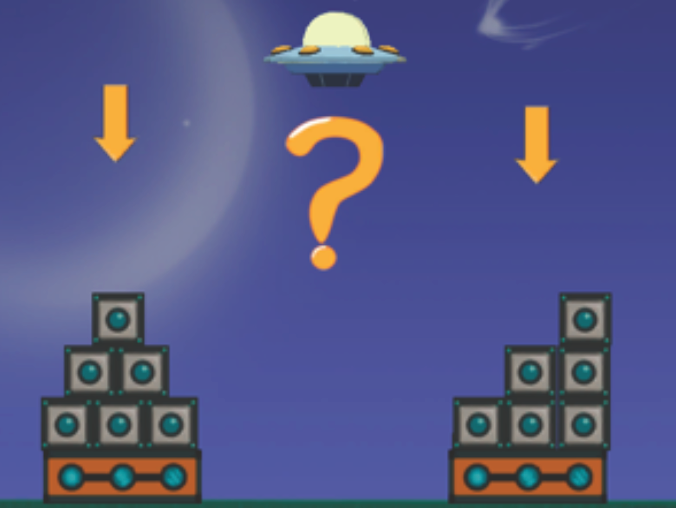 Research-based game concepts provide a clear avenue for student learning. In a recent study, 174 students in two schools played RumbleBlocks. Students in grades 1-3 made significant learning gains in understanding the scientific principles of stability. Contrasting Cases are a key component of what makes RumbleBlocks effective. Research on this game and other studies have shown that making predictions and reflecting on the characteristics of different structures improves student learning. In-game Feedback gives students information they need to support learning-by-doing. This promotes deeper understanding of the material and critical thinking.